Here is a letter we received from St Helena Hospice relating to the Pig Race Night Event. 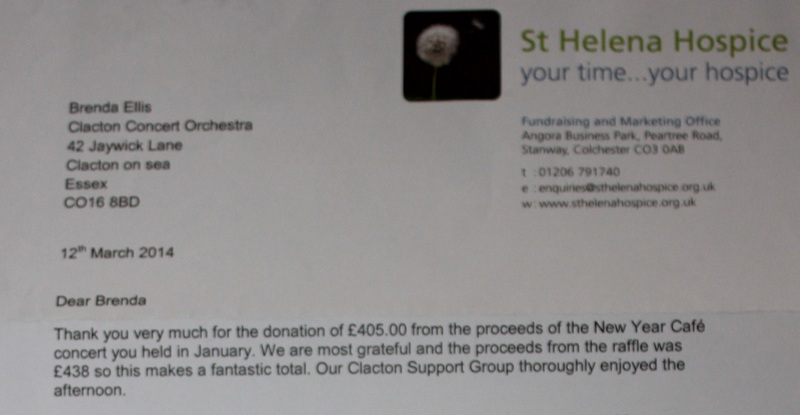 Here is a letter we received from St Helena Hospice relating to the New Year Cafe’ Concert. Here are two letters we received from SSAFA and St Helena Hospice; they relate to the Remembrance Concert and the New Year Cafe’ Concert. 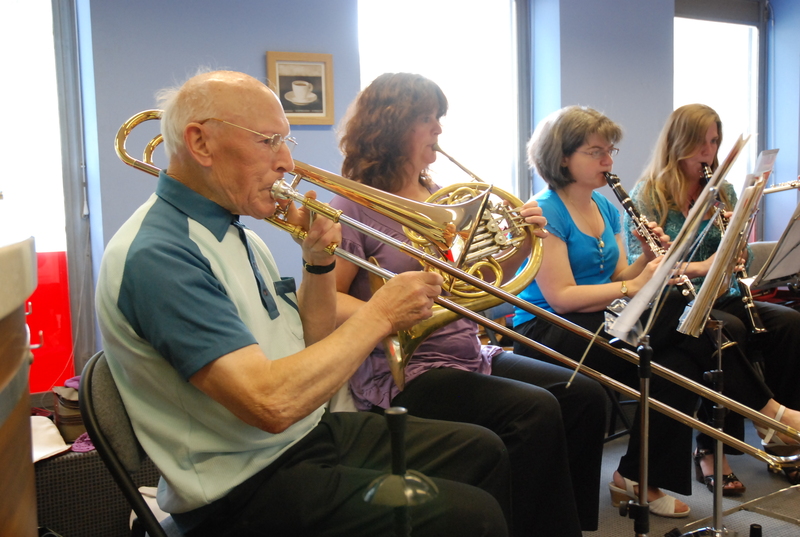 Clacton Concert Orchestra under conductor Francis Garland and leader Ruth Baker, are delighted to return to St Osyth Parish Church with a programme of music “We Love to Play…” The afternoon concert will be held on Sunday 21st July at 3:00pm. The concert “We Love to Play…” will open with Mendelssohn’s evocative Hebrides Overture Fingal’s Cave, next, and in celebration of St Osyth’s beautiful new piano, Francis Garland puts down his baton to play Mozart’s twelve variations on the theme Twinkle Twinkle Little Star, “Ah vous dirai-je, Maman”. A change of pace follows with the music from Harry Potter films. Ending the first half is Beethoven’s beautiful, powerful overture Egmont. The second half of the concert is opened by some of our friends from Clacton Choral Society who will perform a medley of songs including Begin the Beguine and other favourites. Next is music from the stunning film and current favourite musical Les Miserables and lastly the theme music from the films Pirates of the Caribbean. Tickets priced £7.00 (accompanied children free) are available from John Stiff Estate Agents 01255 820424 or from 01255 223455 or on the door on the day. 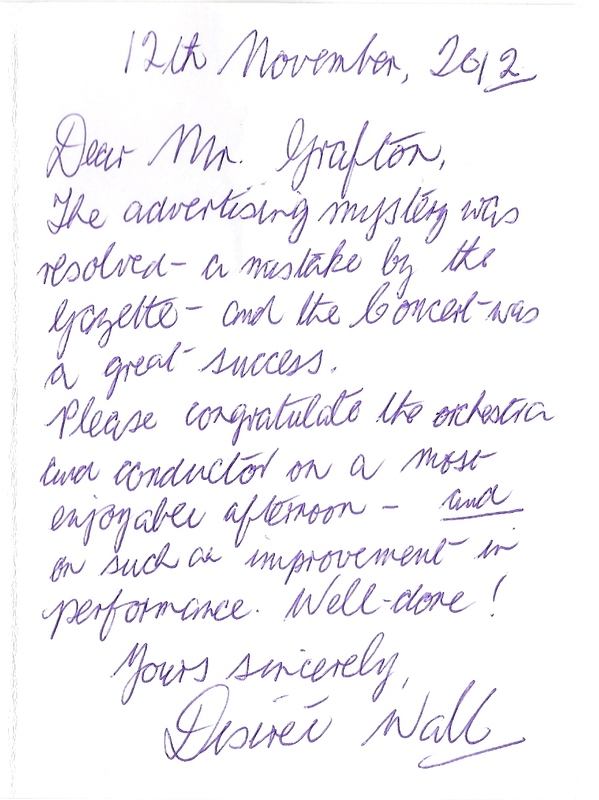 A kind letter from composer Lawrence Turner following our performance of his Symphony. 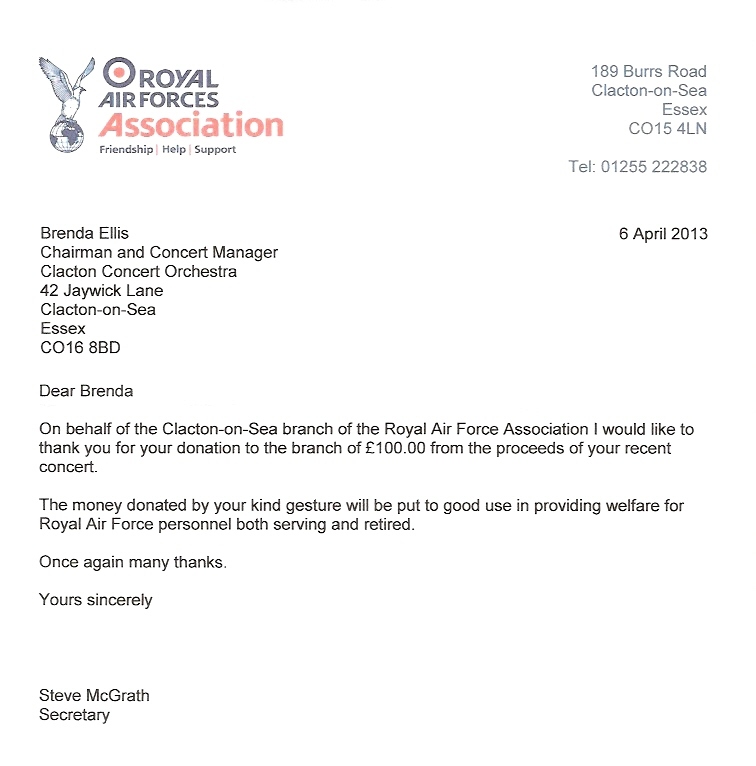 A thank you letter from the RAF Clacton. 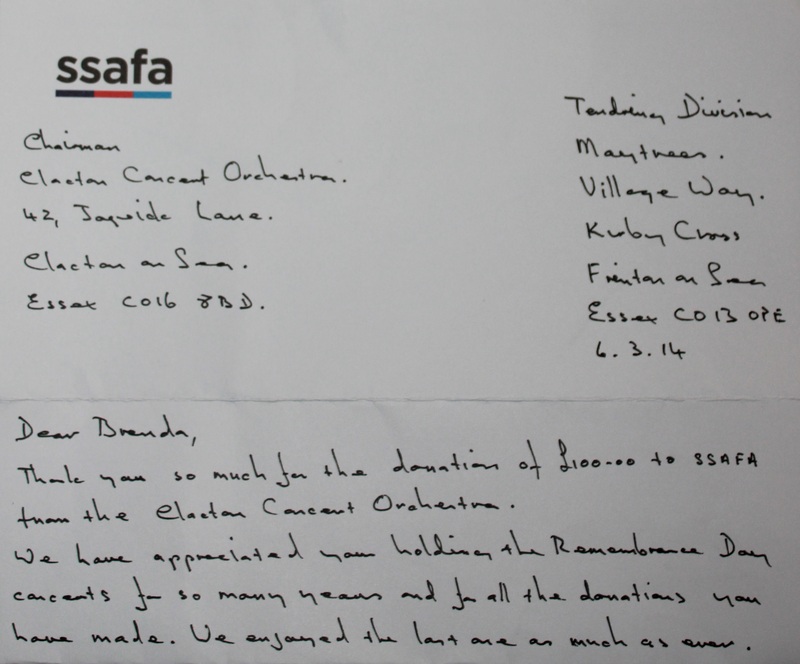 A thank you letter from the SSAFA Clacton. Please find below a kind letter we received from Ms Wall. 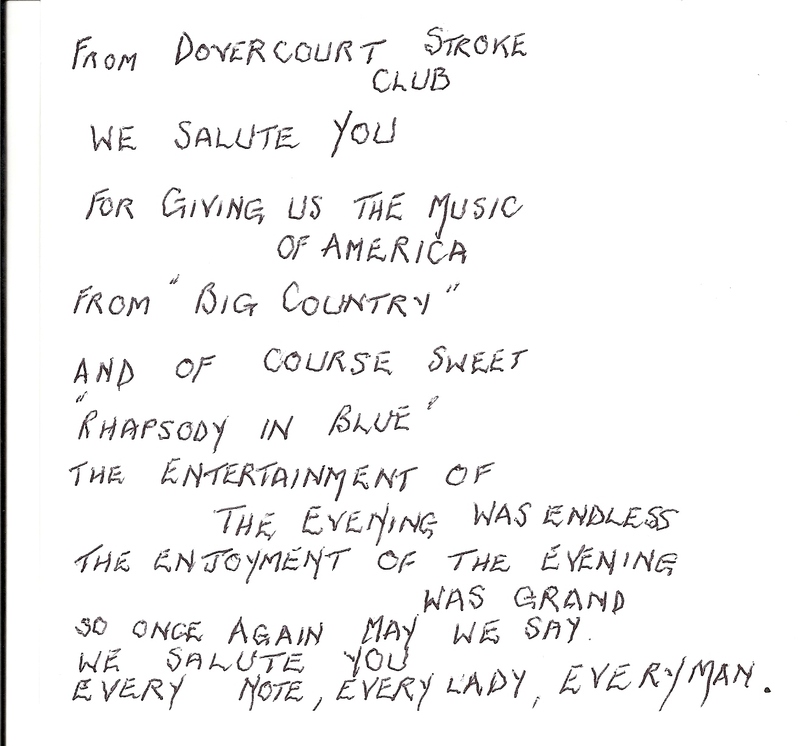 Following our donations to the Harwich Society and the Dovercourt Stroke Club, their representatives have expressed their gratitude in the letters you can see below (click on the image to enlarge). 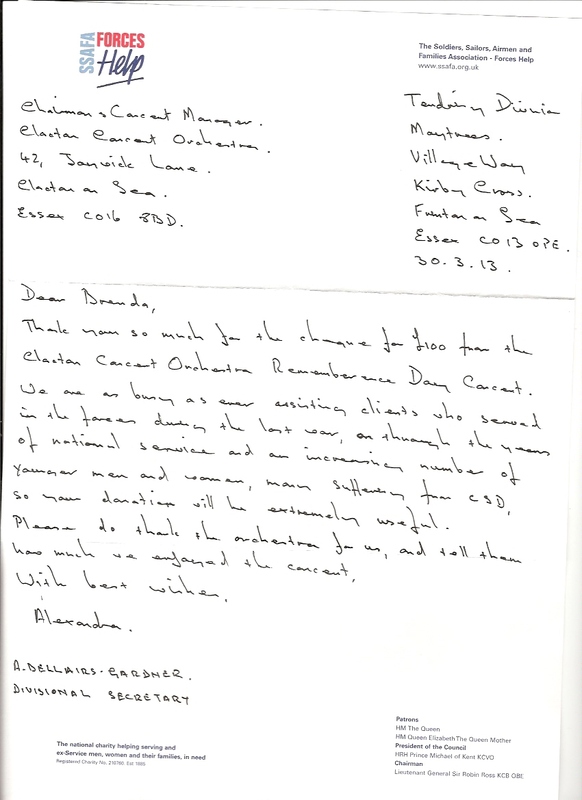 Following our donation to St. Bartholomew church, the Honorary Secretary Mrs Bridget Nelson has expressed her gratitude in the letter you can see below (click on the image to enlarge). 19 Jan 2012 – It is with great sadness that we share the news of the death of our dear friend and CCO Hon. Treasurer John Baker. 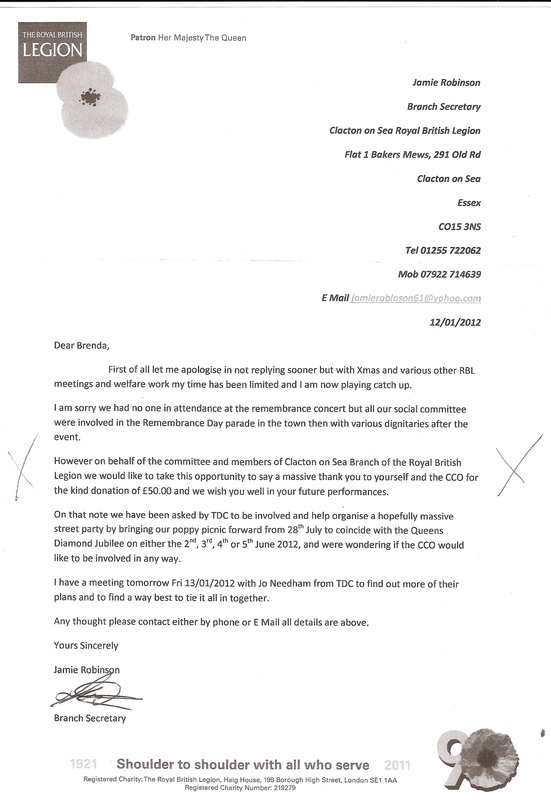 18 Jan 2012 – Following our donation to the Royal British Legion, the Clacton Branch Secretary Jamie Robinson has expressed his gratitude in the letter you can read below (click here to see the letter). 14 Dec 2011 – Dovercourt Christmas Lights look beautiful this year. 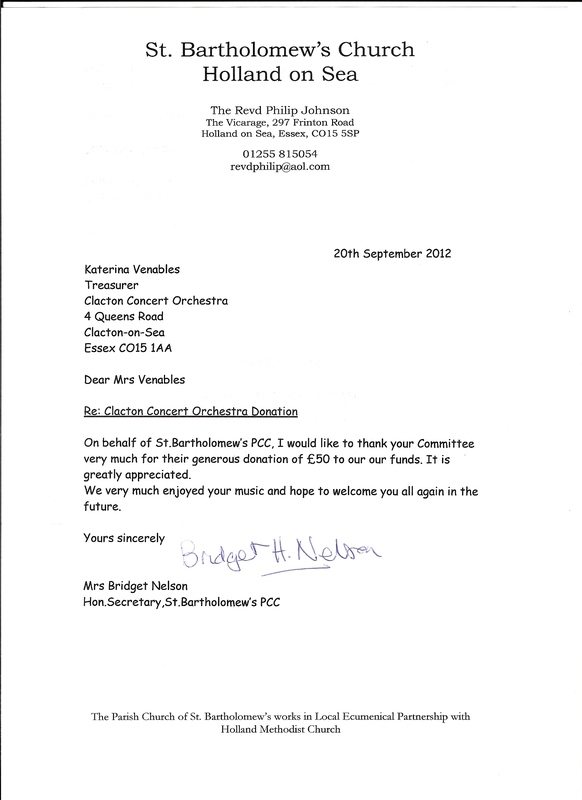 We supported Harwich and Dovercourt Partnership Christmas Lights Appeal with part of the proceeds from our concert held on 17th July 2010 in Dovercourt. 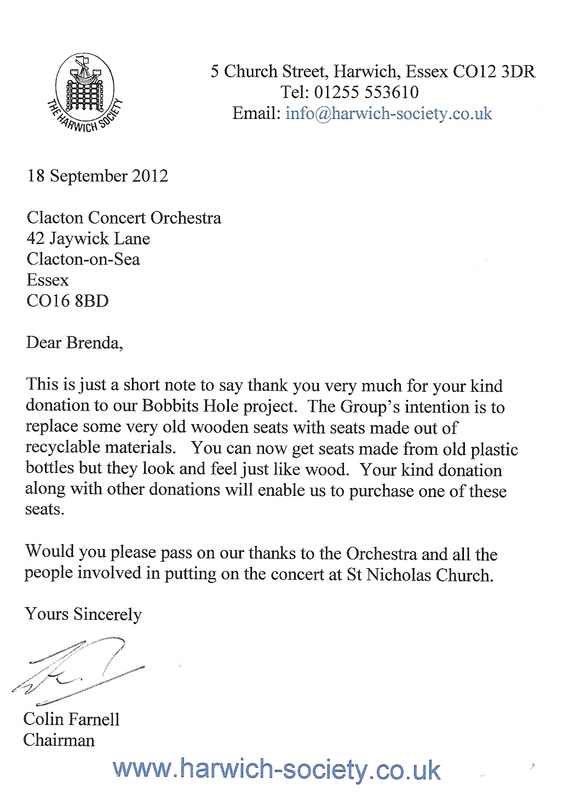 Following that concert we gave an equal amount to support The Harwich Society Bobbitts Hole nature appeal. 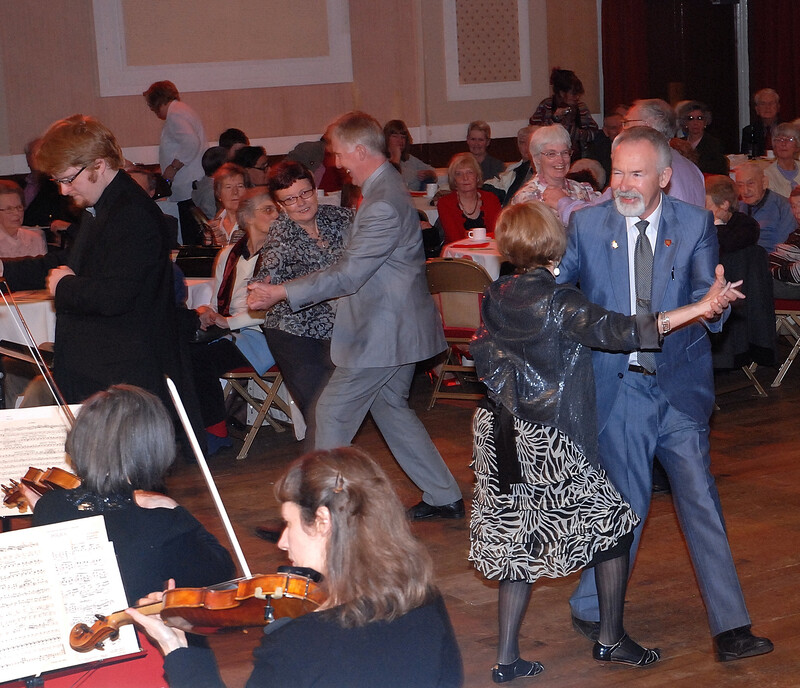 9 Dec 2011 – CHARITY NEWS – We gave £250 to Tendring Branch of SSAFA – Forces Help and £50 to Clacton on Sea Branch of Royal British Legion following last concert (Remembrance Sunday). CCO wish to acknowlege the tremendous loss which our community has suffered through the recent and very sudden death of our dear friend Peter Cobb. The Orchestra could not have wished for a better friend, he will be sadly missed. 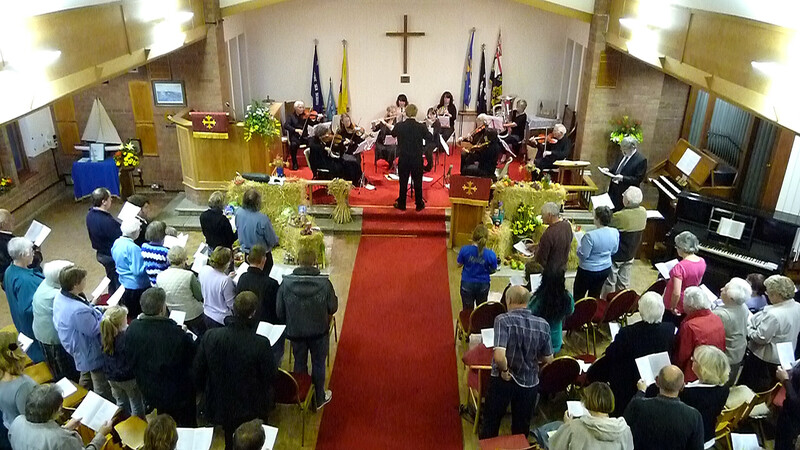 The season of CCO coffee concerts have gone very well and has been much enjoyed by players and audiences alike. St James’ Church Little Clacton was holding a flower festival over the weekend of 23rd- 24th July, this made a wonderful backdrop for the players pictured below. 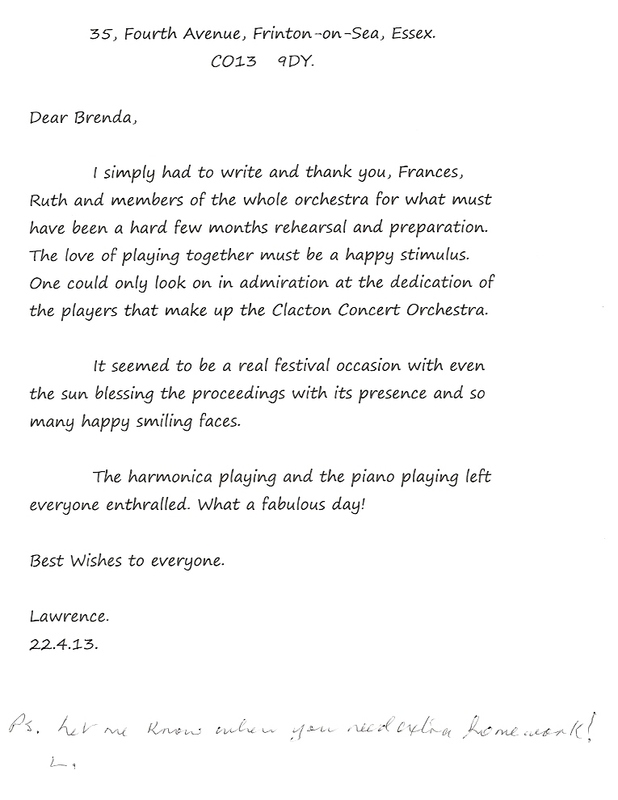 2010 was a very busy year for Clacton Concert Orchestra and certainly a year during which we have made great efforts to get out into our community and share our passion for music! This effort will be continued next year when we are joining forces with other music makers, both soloists and groups, who share our great passion and want to entertain. 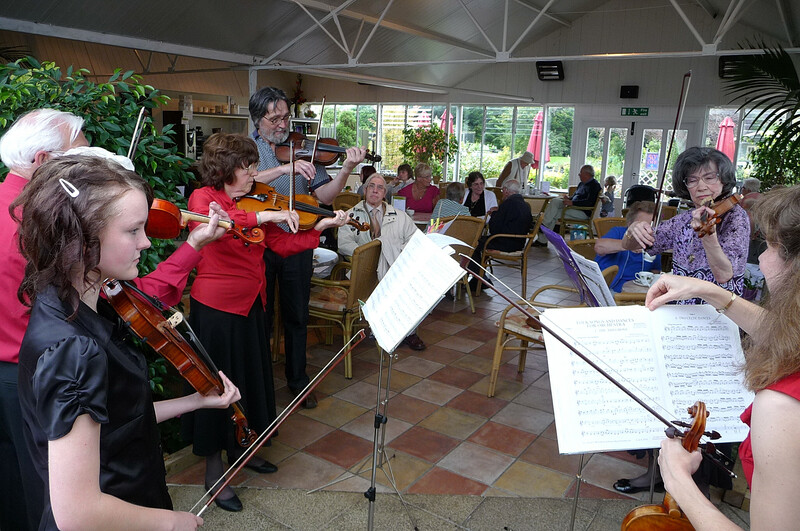 Coffee Concerts are small gatherings of players from Clacton Concert Orchestra showing their various skills in combinations of duos, trios and up to octets, some players using instruments which are not seen in the usual orchestra setting. Three concerts have been held over the summer months, Jaywick Martello Art Centre, Hearts Delight Garden Centre and lastly Clacton Library where, during the afternoon, there was a footfall of some 400 people, most of whom stayed to listed and join us in a cup coffee and a piece of cake! These concerts are free of charge and there is no obligation to sit, a come and go as you please event with donations welcomed. 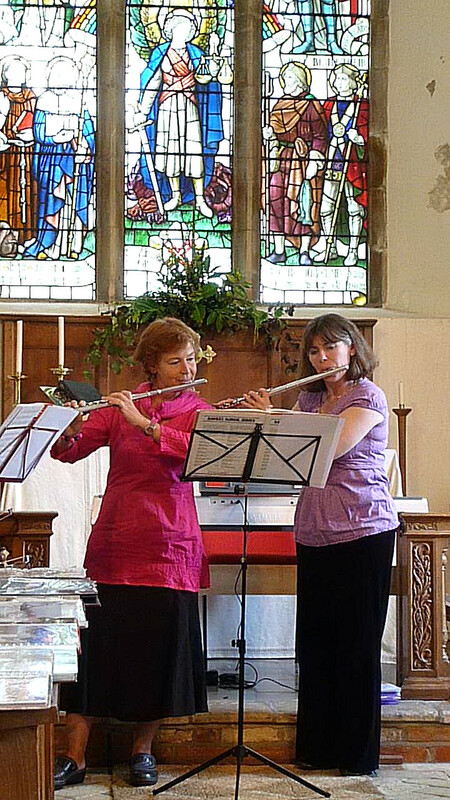 Another new venture was Harvest Festival at Wivenhoe Congregational Church where a small group of our players, under Francis and with Ruth, provided music for the service. Members of the Church kindly provided a supper after the service which gave our players an opportunity to share, to listen and to inform. We shall most certainly return to Wivenhoe! We will certainly be adding coffee concerts to 2011 diary and will reach out in our community and perform music in whichever way we are asked and needed! Congratulations to Caroline Davis on getting a ‘distinction’ in Grade V Theory.